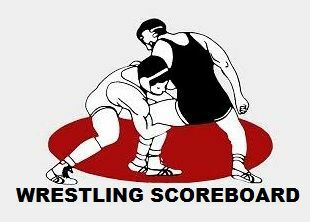 MANDAN, N.D. - Sturgis headed to the annual Mandan Invititational riding high coming off a 78-6 dual victory over Belle Fourche Thursday night. After the first day of action Friday, Sturgis is sitting in fourth place with 60 points. The Scoopers advanced three wrestlers into the championship rounds. They included Wren Jacobs at 145 pounds, Bailey Brengle at 152, and Joel Carpenter at 220 pounds. Carpenter did not wrestle Thursday night due to a Belle Fourche forfeit. Bismarck, N.D. was sitting in first place in the team standings, with Rapid City Central in second and Rapid City Stevens in third. Central is sending four wrestlers on to the championships Saturday, including Cael Larson at 106 pounds, Tj Morrison at 132, Kolby Kost at 170 and Bridger Kraye at 182. Stevens advanced seven wrestlers, including Declan Malone at 106 pounds, Landen Fischer at 113, Cooper Voorhees at 152, Nate Allenat at 160, Dante Colicheski at 182, Caleb Brink at 195 and Anthony Knodell at 195.